Boil water and put in the pig’s face. Add salt and pepper. Let it boil for 20 to 30 minutes or until tender. Use pressure cooker to save time. Remove from heat. Let it cool. Cut into bite size. Set aside. 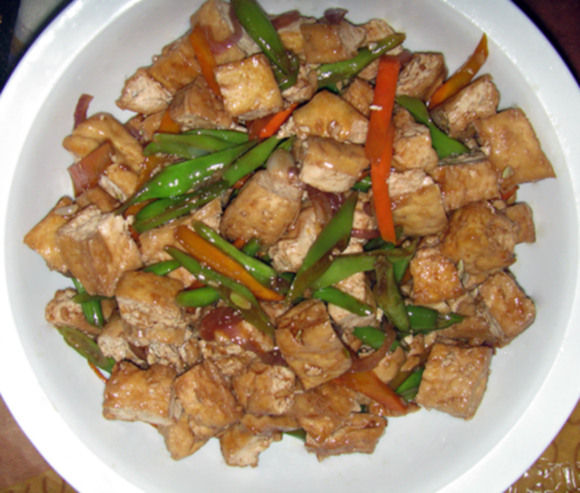 In a frying pan, deep fry the tofu until it turns to golden brown, remove from heat. Cut into cubes. Set aside. In the same pan, deep fry the sliced pig’s face until it turns to light brown and crispy. Set aside. In a separate bowl, combine sugar, soy sauce and vinegar. Mix well until the taste will blend. Place tofu and pig’s face in the same bowl. 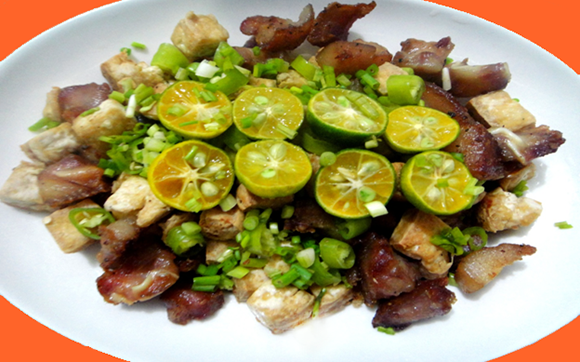 Put in the chopped spring onions, chili pepper and calamansi juice. Pour the combine sauce and mix well.